I haven’t written a blog post in awhile. Over the past 6 months, I’d try to pontificate on the topic of Augmented Reality but some major new development would always occur. I have a bunch of scrapped posts sitting in Google Drive that are now totally irrelevant. Cruising through December, I figured the coast was clear. I was considering writing a dull year in review post when the final paradigm shift occurred with Snap’s release of Lens Studio. So, let’s try and get this out before it’s obsolete! Smartphone AR is definitely back. After Apple’s announcement, everyone wanted to talk about ARKit. Despite developing the award-winning Holographic Easter Egg Hunt for HoloLens with Microsoft this past Spring, discussions with clients and investors became laser-focused on smartphone AR instead of mixed reality. It looks like 2018 will be a big year for these platforms while mixed reality headset makers gear up for 2019 and beyond. Because of this renewed interest in smartphone AR, this is a good time to investigate your options if you’re looking to get into this platform. Despite being announced after Facebook’s AR Camera Effects platform, it really was Apple’s ARKit’s announcement that set off this new hype cycle for smartphone AR. Google’s announcement of ARCore for Android was seemingly a me-too move, but also quite significant. This isn’t about ARKit versus ARCore since there is no competition. They both do similar things on different platforms. ARCore and ARKit have a common set of features but implement them in ways that are subtly different from the user’s perspective. Because of this, it’s not super difficult to port applications between the two platforms if you are using Unity. The biggest limitation of both ARKit and ARCore is that when you quit the application, it forgets where everything is. Although you can place anchors in the scene to position virtual objects in the real world, there is no persistence between sessions. I suspect ARCore might advance quicker in this department as Google’s ill-fated Tango technology had this in their SDK for years. I’m assuming we’ll see more and more Tango features merged into ARCore in 2018. Rumors suggest ARKit 2.0 will also see similar improvements. ARKit does one up ARCore with the addition of face tracking for the iPhone X. This is the most advanced facial tracking system currently available on mobile phones. However, it’s only on one device–albeit a wildly popular one. ARKit’s facial tracking seems to produce results far beyond current mask filter SDKs as it builds a mesh out of your face using the TrueDepth camera. However, there doesn’t seem to be a reason why many of the basic facial tracking features can’t be brought over to phones with standard cameras. Maybe we’ll see a subset of these features trickle down into other iOS devices in the near future. ARKit has far more penetration than ARCore. ARCore runs on a tiny fraction of Android devices, and this isn’t likely to improve. ARKit requires an iPhone 6S and above, but that’s still a large chunk of iOS devices. There probably is zero business case for focusing on ARCore first. If you truly need to develop a standalone AR app, your best bet is to target iOS primarily and Android second (if at all). If ARCore starts to get some of Tango’s features added to it ahead of ARKit, then there will be compelling use cases for ARCore exclusive apps. When ARKit was first announced, I had a few meetings at large companies. They all thought it was cool, but didn’t want to develop standalone apps. Getting users to download yet another app is expensive and somewhat futile as most go unused after a few tries. There’s a lot more interest in distributing AR experiences inside apps people already have installed. Before Facebook Camera Effects was announced, the only option was Blippar. Which really isn’t an option since hardly anyone uses it. I got access to Facebook Camera Effects early on and was really impressed with the tools. Leading up to the public release, Facebook has added a lot of features. I’ve seen everything from simple masks to full-blown multiplayer games built with Facebook’s AR Studio. The great thing about Camera Effects Platform is you are able to distribute an AR experience through an app that already has hundreds of millions of users. Because of this reach, a filter must be tested on a wide variety of phones to account for per-platform limitations and bugs. This is because Facebook AR filters run on a huge number of devices–whether they have native AR SDKs or not. What’s tricky is after getting approval for distribution of your filter, you still have to somehow tell users to use it. Facebook provides a few options, such as attaching a filter to a promoted Facebook page, but discovery is still a challenge. As Camera Effects Platform opened to all, Snap released Lens Studio for both Windows and Mac. This platform allows developers to create World Lens effects for Snapchat. I was really excited about this because a lot of clients were just not very enthusiastic about Facebook’s offering. I kept hearing that the valuable eyeballs are all on Snapchat and not Facebook, despite Snapchat’s flatlining growth. Brands and and marketers were chomping at the bit to produce content for Snapchat without navigating Snap’s opaque advertising platform. As for distribution, you still have to go through an approval process which includes making sure your lens is performant on low-end devices as well as current phones. Once available you can link your lens to a Snapcode which you can distribute any way you want. Which should you develop for? Unlike ARCore and ARKit, Facebook and Snapchat have wildly different feature sets. You could start with a Facebook Camera Effect and then produce a World Lens with a subset of features using detail reduced assets. The easier path may be to port up. Start with a simple World Lens and then build a more elaborate Facebook AR filter with the same assets. Given how few people use Facebook’s stories feature, I feel that it may be smarter to target Snapchat first. Once Facebook’s Camera Effects Platform works on Instagram I’d probably target Facebook first. It really depends on what demographic you are trying to hit. Should you develop a standalone AR app or a filter inside a social network platform? It really depends on what you’re trying to accomplish. If you want to monetize users, the only option is a standalone ARKit or ARCore app. You are free to add in-app purchases and ads in your experience as you would any other app. Facebook and Snap’s guidelines don’t allow this on their respective platforms. Are you using AR to create branded content? In the case of AR filters, they are usually ads in themselves. If you are trying to get as much reach as possible, a properly marketed and distributed AR filter is a no-brainer. A thorough mobile AR strategy may involve a combination of both native apps and filters–and in the case of Facebook’s Camera Effects Platform, they can even link to each other via REST calls. 2018 is going to be an exciting year for smartphone AR. With the explosive growth of AR apps on the AppStore and the floodgates opening for filters on social media platforms, you should be including smartphone AR into your mixed reality strategy. Give your users a taste of the real thing before the mixed reality revolution arrives. Pokemon Go is a watershed moment in gaming. I’ve never seen a game have this much traction this fast. My neighborhood is filled with wandering players of all demographics, strolling around with phone in hand looking for Pokemon. Since the game’s launch, everyday has looked like Halloween without the costumes. In general, the job of a venture capitalist is really easy. For most, you simply wait around for another firm to invest in something and then add to that round. Or, you can wait for something to be really successful and cultivate clones of it. I can guarantee there are now a few VCs with deals in motion to build a “fast follow” mimic of Pokemon Go. Never before have I seen so many VC's so effusive about their love for Pokemon. There is absolutely no way another developer can duplicate the success of this game. In fact, it remains to be seen if this game will be a success beyond its initial pop. No game has ever had an opening weekend of this scale–but still, remember Draw Something or maybe even Fallout Shelter? I’m enjoying Pokemon Go myself, but many of my colleagues are questioning whether it has legs. Regardless of that, any location-based game you may be thinking of making is probably missing a few key ingredients to Pokemon Go’s success. I’ve spent time building location-based service apps in the past. The biggest problem with making games that play over the real world is populating the map with interesting stuff to do. Firstly, there’s access to map data–on Pokemon Go’s scale, this is not cheap (although there are open source solutions). Simply having a map is one piece of the puzzle–you need to have information about how the locations are used. Which places are busiest? Where do players like to group up at? Niantic has this data from years of running Ingress–pretty much the largest location-based game ever made. Over the years Ingress was running as a project fully funded and supported by Google, Niantic built an incredibly valuable data layer on top of the real world that has been repurposed for Pokemon Go. Previous to Pokemon Go, even prior to Ingress, there have been plenty of location-based games. Anyone remember Shadow Cities? Or Booyah? They may have just been too early–back then there weren’t enough smartphones to solve the density problem you have with location-based games. Now that smartphones are ubiquitous, how do you get enough players to fill up the world map? One way is to use one of the biggest video game IPs on the planet. The demand for Nintendo IPs on other platforms is unprecedented. The fervor for Pokemon in particular is huge–with lots of false Pokemon apps taken off Google Play and the App Store over the years. Investors have responded to this craze, with Nintendo’s stock jumping 25% since the release of Pokemon Go. There really isn’t another IP as big as Pokemon that can be applied to a game of this scale. Sprinkle a little Pokemon on to a little Ingress and the results are explosive. There’s nobody else on the planet that can do this. Google Cardboard is a huge success. Cardboard’s userbase currently dwarfs that of Gear VR. Users, investors, and collaborators who don’t have access to Gear VR often ask for Cardboard versions of my games. As part of planning what to do next with Caldera Defense, I decided to create a workflow to port between Gear VR and Cardboard. Google Cardboard supports Unity 4 and Unity 5. Although Oculus’ mobile SDK will technically work on Unity 5, you can’t ship with it because bugs in the current version of Unity 5 cause memory leaks and other issues on the Gear VR hardware. Unity is working on a fix but I haven’t heard any ETA on Gear VR support in Unity 5. This is a bummer since the Cardboard SDK for Unity 5 supports skyboxes and other features in addition to the improvements Unity 5 has over 4. Unfortunately you’re stuck with Unity 4 when making a cross-platform Gear VR and Cardboard app. Although Gear VR’s simplistic touch controls are a challenge to develop for, the vast majority of Cardboards have no controls at all! Yes, Google Cardboard includes a clever magnetic trigger for a single input event. Yet, the sad fact is most Android devices don’t have the necessary dock connector to use this. You have a few other control options that are universal to all Android devices: the microphone and Bluetooth controllers. By keeping the microphone open, you can use loud sounds (such as a shout) to trigger an action. You can probably use something like the Pitch Detector plug-in for this. Or, if your cardboard has a head strap for hands-free operation, you can use a Bluetooth gamepad for controls. Because of this general lack of input, many Cardboard apps use what I call “stare buttons” for GUIs. These are buttons that trigger if you look at them long enough. I’ve implemented my own version. The prefab is here, the code is here. It even hooks into the new Unity UI event system so you can use it with my Oculus world space cursor code. Gear VR apps must be redesigned to fit within Cardboard’s constraints. Whether it’s for limited controls or the performance constraints of low end devices. Most of my Cardboard ports are slimmed down Gear VR experiences. In the case of Caldera Defense, I’m designing a simplified auto-firing survival mode for the Cardboard port. I’ll merge this mode back into the Gear VR version as an extra game mode in the next update. This is surprisingly easy. You can install the Cardboard and Gear VR SDKs in a single Unity project with almost no problems. The only conflict is they both overwrite the Android manifest in the plugin folder. I wrote an SDK swapper that lets you switch between the Google Cardboard and Oculus manifests before you do a build. You can get it here. This editor script has you pick where each manifest file is for Cardboard and Gear VR and will simply copy over the appropriate file to the plugin folder. Of course for iOS Cardboard apps this isn’t an issue. Both Oculus and Cardboard have their own prefabs that represent the player’s head and eye cameras. In Caldera Defense, I originally attached a bunch of game objects to the player’s head to use for traces, GUI positioning, HUDs, and other things that need to use the player’s head position and orientation. In order for these to work on both Cardboard and Oculus’ prefabs, I placed all objects attached to the head on another prefab which is attached to the Cardboard or Oculus’ head model at runtime. Not only do both SDK’s have similar prefabs for the head model, they also have similar APIs. In both Cardboard and Oculus versions, I need to refer to the eye and head positions for various operations. To do this, I created a simple class that detects which prefab is present in the scene, and grabs the respective class to wrap the eye position reference around. The script is in the prefab’s package. For the final step, I made separate Cardboard versions of all my relevant Gear VR scenes which include the Cardboard prefabs and modified gameplay and interfaces. If no actual Oculus SDK code is in any of the classes used in the Cardboard version, the Oculus SDK should be stripped out of that build and you’ll have no problem running on Cardboard. This probably means I really need to make an Oculus and Cardboard specific versions of that CameraBody script. The upcoming Unity 5.1 includes native Oculus support which may make this process a bit more complicated. Until then, these steps are the best way I can find to support both Cardboard and Gear VR in one project. I’m a big fan of mobile VR, and I think it’s necessary for any developer at this early stage of the market to get content out to as many users as possible. A few weeks back I got into Google’s exclusive Project Tango developers program. I’ve had a Tango tablet for about a week and have been experimenting with the available apps and Unity3D SDK. Project Tango uses Movidius’ Myriad 1 Vision Processor chip (or “VPU”), paired with a depth camera not too unlike the original Kinect for the XBOX 360. Except instead of being a giant hideous block, it’s small enough to stick in a phone or tablet. I’m excited about Tango because it’s an important step in solving many of the problems I have with current Augmented Reality technology. What issues can Tango solve? First, the Tango tablet has the ability to determine the tablet’s pose. Sure, pretty much every mobile device out there can detect its precise orientation by fusing together compass and gyro information. But by using the Tango’s array of sensors, the Myriad 1 processor can detect position and translation. You can walk around with the tablet and it knows how far and where you’ve moved. This makes SLAM algorithms much easier to develop and more precise than strictly optical solutions. Also, another problem with AR as it exists now is that there’s no way to know whether you or the image target moved. Rendering-wise, there’s no difference. But, this poses a problem with game physics. If you smash your head (while wearing AR glasses) into a virtual box, the box should go flying. If the box is thrown at you, it should bounce off your head–big distinction! Pose and position tracking has the potential to factor out the user’s movement and determine the motion of both the observer and the objects that are being tracked. This can then be fed into a game engine’s physics system to get accurate physics interactions between the observer and virtual objects. Anyway, that’s kind of an esoteric problem. The biggest issue with AR is most solutions can only overlay graphics on top of a scene. As you can see in my Ether Drift project, the characters appear on top of specially designed trading cards. However, wave your hand in front of the characters, and they will still draw on top of everything. Ether Drift uses Vuforia to superimpose virtual characters on top of trading cards. With Tango, it is possible to reconstruct the 3D geometry of your surroundings using point cloud data received from the depth camera. Matterport already has an impressive demo of this running on the Tango. It allows the user to scan an area with the tablet (very slowly) and it will build a textured mesh out of what it sees. When meshing is turned off the tablet can detect precisely where it is in the saved environment mesh. This geometry can possibly be used in Unity3D as a mesh collider which is also rendered to the depth buffer of the scene’s camera while displaying the tablet camera’s video feed. This means superimposed augmented reality characters can accurately collide with the static environment, as well as be occluded by real world objects. Characters can now not only appear on top of your table, but behind it–obscured by a chair leg. Finally, this solves the challenge of how to properly light AR objects. Most AR apps assume there’s a light source on the ceiling and place a directional light pointing down. With a mesh built from local point cloud data, you can generate a panoramic render of where the observer is standing in the real world. This image can be used as a cube map for Image-based lighting systems like Marmoset Skyshop. This produces accurate lighting on 3D objects which when combined with environmental occlusion makes this truly a next generation AR experience. The first thing I did with the Unity SDK is drop the Tango camera in a Camera Birds scene. One of the most common requests for Camera Birds was to be able to walk through the forest instead of just rotating in place. It took no programming at all for me to make this happen with Tango. This technology still has a long way to go–it has to become faster and more precise. Luckily, Movidius has already produced the Myriad 2, which is reportedly 3-5X faster and 20X more power efficient than the chip currently in the Tango prototypes. Vision Processing technology is a supremely nerdy topic–after all it’s literally rocket science. But it has far reaching implications for wearable platforms. As you may know, I’m a huge fan of Oculus and Samsung’s Gear VR headset. The reason isn’t about the opportunity Gear VR presents today. It’s about the future of wearables–specifically of self-contained wearable devices. In this category, Gear VR is really the first of its kind. The lessons you learn developing for Gear VR will carry over into the bright future of compact, self-contained, wearable displays and platforms. Many of which we’ve already started to see. The Gear VR in the flesh (plastic). Gear VR development can be a challenge. Rendering two cameras and a distortion mesh on a mobile device at a rock solid 60fps requires a lot of optimization and development discipline. Now that Oculus’ mobile SDK is public and having worked on a few launch titles (including my own original title recently covered in Vice), I figured I’d share some Unity3D development challenges I’ve dealt with. The biggest challenge with making VR performant on a mobile devices is throttling due to heat produced by the chipset. Use too much power and the entire device will slow itself down to cool off and avoid damaging the hardware. Although the Note 4 approaches the XBOX 360 in performance characteristics, you only have a fraction of its power available. This is because the phone must take power and heat considerations in mind when keeping the CPU and GPU running at full speed. With the Gear VR SDK you can independently tell the device how fast the GPU and CPU should run. This prevents you from eating up battery when you don’t need the extra cycles, as well as tune your game for performance at lower clock speeds. Still, you have to be aware of what types of things eat up GPU cycles or consume GPU resources. Ultimately, you must choose which to allocate more power for. The obvious optimization is lowering graphical detail. Keep your polycount under 50k triangles. Avoid as much per pixel and per vertex processing as possible. Since you have tons of RAM but relatively little GPU power available–opt for more texture detail over geometry. This includes using lightmaps instead of dynamic lighting. Of course, restrict your usage of alpha channel to a minimum–preferably for quick particle effects, not for things that stay on the screen for a long period of time. Effects you take for granted on modern mobile platforms, like skyboxes and fog, should be avoided on Gear VR. Find alternatives or design an art style that doesn’t need them. A lot of these restrictions can be made up for with texture detail. A lot of standard optimizations apply here–for instance, use texture atlasing and batching to reduce draw calls. The target is under 100 draw calls, which is achievable if you plan your assets correctly. Naturally, there are plenty of resources in the Asset Store to get you there. 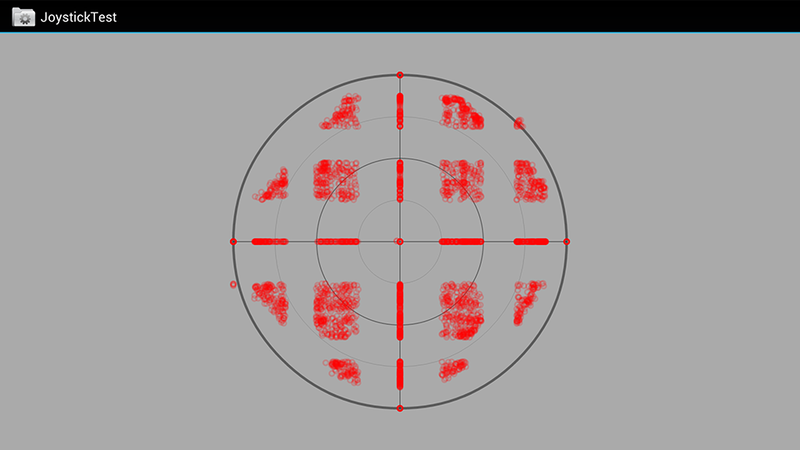 Check out Pro Draw Call Optimizer for a good texture atlasing tool. There are less obvious optimizations you might not be familiar with until you’ve gone to extreme lengths to optimize a Gear VR application. This includes removing as many Update methods as possible. Most update code spent waiting for stuff to happen (like an AI that waits 5 seconds to pick a new target) can be changed to a coroutine that is scheduled to happen in the future. Converting Update loops to coroutines will take the burden of waiting off the CPU. Even empty Update functions can drain the CPU–death by a thousand cuts. Go through your code base and remove all unnecessary Update methods. As in any mobile game, you should be pooling prefabs. I use Path-o-Logical’s PoolManager, however it’s not too hard to write your own. Either way, by recycling pre-created instances of prefabs, you save memory and reduce hiccups due to instantiation. There’s nothing really new here to most mobile developers, but Gear VR is definitely one of the bigger optimization challenges I’ve had in recent years. The fun part about it is we’re kind of at the level of Dreamcast-era poly counts and effects but using modern tools to create content. It’s better than the good old days! It’s wise to build for the ground up for Gear VR than to port existing applications. This is because making a VR experience that is immersive and performant with these parameters requires all disciplines (programming, art, and design) to build around these restrictions from the start of the project. I spent this past weekend at Oculus Connect and have just now had the time to process what I saw. For Oculus to go from a humble Kickstarter project a few years ago to a capacity filled conference rife with amazing demos and prototypes by countless developers is mind-boggling. I know I said VR in 2014 is like Mobile in 2002, but the pace of progress is staggering. The maturation path for VR is going to be MUCH quicker. Is it 2005 already? …and all I got was this lousy t-shirt. As I stated before, Gear VR is the most important wearable platform in the universe. I’ve been developing Gear VR games for a while and am thoroughly convinced this wireless, lightweight platform will have far more reach than VR tethered to your desktop. The apps on display were great, but I even saw a few Gear VR demos from random developers in the hotel hallways that blew away what were officially shown in Samsung’s display area. Developer interest for Gear VR is very high. Once it’s commercially available, a flood of content is soon upon us. Despite the intense interest in the platform, I spoke to a few desktop and console developers who dismissed Gear VR as a distraction and are ignoring it–which I think is really short-sighted. It’s true that there may be a division in audiences. Gear VR may be the larger, casual audience while apps built around Oculus’ astounding Crescent Bay platform could be for a highly monetizable market of core enthusiasts. Either route is smart business. Depending on how long you can hold out for customer traction, that is. Oh, and Crescent Bay…was a revolution. There’s probably not much more to be said about it that hasn’t already–but the ridiculous momentum behind Oculus’ path from the DK1 to Crescent Bay makes me question the competition. Oculus has hired all of the smartest people I know and have billions of dollars to spend on VR R&D–which is their main business, not a side project. Will competitors like Sony really commit enough resources to compete with the relentless pace of Oculus’ progress? I’ve been skeptical of the Ouya since the beginning. Who would want to play mobile games scaled up on a TV with a box that’s about as powerful as a mid-range Android phone? Last year’s smashing Kickstarter success and resultant investor stampede was a mystery to me. Criticism of Ouya’s launch has been harsh. For a mere $99, I had to see if this microconsole ‘revolution’ is going to take off. The console itself is a nice piece of industrial design–except for the fact that the vent is on the bottom. There also are shielding issues forcing some users to lay the box on its side or position it away from cabling to prevent interference with Bluetooth and WiFi. Contrasting Ouya’s sleek form factor is a cheap looking controller with no obvious way to put batteries in. At $99, you have to cut corners somewhere. Setting up the Ouya is easy. It requires the creation of an Ouya account and a credit card link before playing anything. Some are complaining about this, but there’s no point in getting users on the platform if they aren’t going to pay. Making sure every user is billable and ready to buy stuff is a top priority for Ouya. Despite having to create user accounts, Ouya appears to have no social network based around them. There aren’t any friends lists, achievements, or leaderboards. This is a glaring omission. Ouya’s somewhat unwieldy catalog is organized by curated arrays of games from celebrity editors and lists sorted by genre. At the very least, I’d like to see what some of my friends are playing. What about the games? Frankly, they are atrocious. With over 100 launch titles, this is to be expected. Ouya’s games include half-baked ports from mobile (some don’t even bother to change the screen to landscape! ), suspect exclusives, and tragically hip indie games about abused children. As I dove deep into the Ouya catalog, I actually began to enjoy the experience. The diversity of games is charming. Plus, I’m a big connoisseur of b-movies and the Ouya feels like the MST3k of consoles. Blowing up games originally built for a 4-inch screen on my 60-inch TV really magnifies polish issues and sub-par graphics. Seeing just how bad some of these games are can be hilarious. However, I’m not quite sure that’s what Ouya had in mind. Where Ouya shines is playing mobile game ports that originally had virtual buttons and d-pads. Games like Gunslugs and the unusually polished Ice Rage play MUCH better with physical controls. My current obsession is Ravensword: Shadowlands. Despite having bought it on the iPad last year, I purchased the Ouya version and have been ironically enjoying it as a PS2-looking Roger Corman-esque Z-grade Skyrim. It’s hilariously unpolished, absurdly ambitious, and infinitely more playable with a joypad despite the game being somewhat incompetently designed. Ouya’s biggest flaw is the business model. All games are a hybrid of premium and f2p with a timed demo period. I learned way back in the feature phone era that demos are death for casual games. With an constant stream of content and bite-sized gameplay, users get their fill of your title for free and move on to the next demo. Forcing this model on developers is a major mistake. It’s the hallmark of a team clueless as to how to build a thriving ecosystem. If your mantra is “free the games,” then free the business model too. Straight f2p and video previews for premium titles is a much better option. A lot of these early problems are to be expected from a company launching its first consumer electronics product so quickly. Also, people seem to have unrealistic expectations for a $99 box. It remains to be seen if the emerging category of microconsoles will be a market of any significance. Perhaps Ouya can break off some of their war chest for quality exclusive titles, or else they are doomed to drown in a sea of similar devices.